The Copernicus Marine Environment Monitoring Service (CMEMS) has been developed with support of the EU Copernicus programme and it uses information from both satellite and in situ observations to provide state-of-the-art analyses and daily forecasts for the marine environment. The In Situ Thematic Assembly Center (INSTAC) is a component of CMEMS and it provides a research and operational framework to gather and deliver in situ observations and derived products based on such observations. For each EuroGOOS Region there is a Regional Data Assembly Centre (RDAC) operated jointly with the CMEMS INSTAC and working closely with organisations operating monitoring stations. In this federative infrastructure, the quality of the products delivered to users must be equivalent wherever the data are processed: each RDAC is responsible for assembling data provided by operators of observing systems and bundling these into an integrated dataset for validation and distribution. The image below shows the INSTAC hierarchical architecture. Routinely (e.g: every hour), each RDAC distributes all its new data on its regional portal. Files (i.e. NetCDF files) are organized in folders as described in the following image. During the INSTAC operational activities, quality control is performed automatically on the data that is made available in real-time and near real-time, yearly scientific assessment performed on the latest 30 years of data ( 60 years for T&S and Global scale). Note: A further validation and quality control as well as a more complete description with metadata take place when the observed data timeseries are passed to national data centres for long-term storage and stewardship. These data centres are mostly National Oceanographic Data Centres (NODCs) and partners in the SeaDataNet pan-European marine data management infrastructure which deals with data from a wide range of marine disciplines (geophysics, geology, chemistry, physics, and biology). SeaDataNet works closely together with EuroGOOS and CMEMS striving together for a complete coverage of available oceanography datasets. Together they are also the 3 pillars under the EMODnet Physics portal. Organisations that are operating monitoring stations and that are not yet connected are invited to make their NRT data streams part of the NRT data exchange and available at the EMODnet Physics portal. If needed, guidance on how the required daily and monthly files should be created, anyhow data are provided in the originator’s native format, no need for conversion to NetCDF. This procedure is performed by EMODnet Physics and RDACs staff. Quality control. QC procedures are applied after agreement with the data originators in order to avoid conflicts and effort duplications. Quality control procedures are automatic and are applied on each parameter. 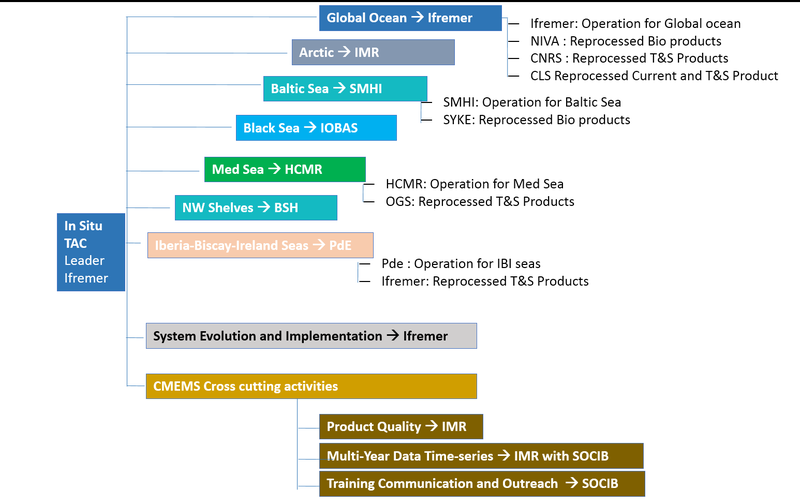 These procedures have been defined by the EU MyOcean project, adopted by EuroGOOS and documented in a EuroGOOS DATAMEQ report. Periodically RDAC, INSTAC, and EMODnet Physics assess the consistency of the data in order to identify possible incoherencies in both data and metadata and dataflow. In case any actor of the pipeline identifies an error, this notification goes both downstream and upstream in order to track it and let the right actor to correct it. 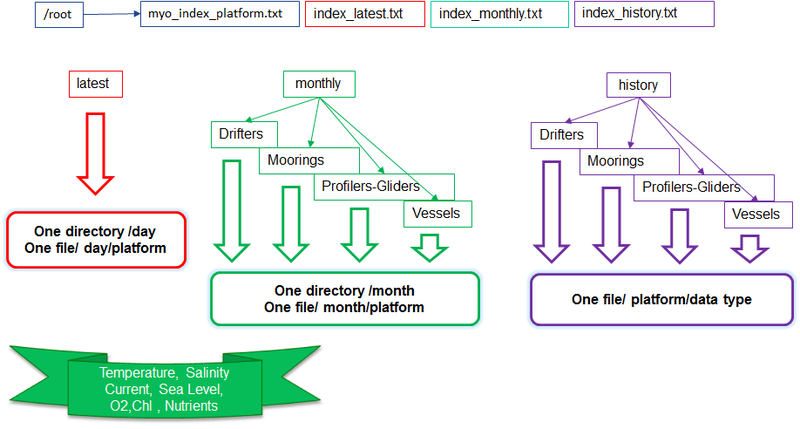 Note: In addition arrangements can be made with a SeaDataNet data centre for further validation of the collected datasets and inclusion in the data management infrastructure for long term stewardship. Alternatively the data provider can decide to ingest the datasets by means of the Data Submission service at this portal whereby it will be received by a SeaDataNet data centre for further processing. In practice support and guidance will be given to organisations operating monitoring stations that are not yet included and that are willing to make their NRT data streams part of the European NRT data exchange and available at the EMODnet Physics portal. The following table provides general contacts to initiate the cooperation.